Domestic & Commercial Cleaning London - 200% Efficiency! Looking for a reliable London cleaning provider capable of delivering 1st class home or office cleaning services of all kinds? Well, that is exactly what we offer you - unmatched quality, 365/7 availability and reasonable pricing! With a little investment and no sweat at all, you can have your flat, house, working space perfectly clean & shining. 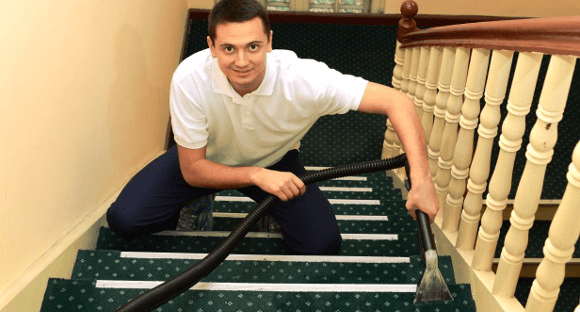 No need to waste your leisure time in boring & filthy activities - all you have to do is call 020 3746 3201 and hire our team of professional cleaners. They will show up on time, loaded with powerful equipment & efficient detergents. As experienced as they are, there’s no doubt all harsh spots, spills, allergens, discolourations etc. will be successfully removed. You will once again enjoy the comfort & shiny colours of your carpet, oriental rug, sofa or beautiful hardwood floor. Dirt, Stink, Bed Bugs, Post Renovation Trash … Who You Gonna Call? 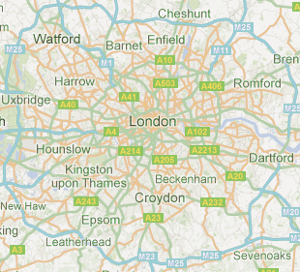 We are a cleaning provider based in London and serving all its M25 areas. We now offer rubbish removal & of course full circle of cleaning services to both households and businesses. Having more than 10 years of experience means that we can successfully treat all types of soft floors ( carpets & rugs), hard floors, upholstery ( furniture, mattresses, curtains), kitchen appliances, windows, roofs, gutters. Our expert help can be provided on a regular or one-off basis. We have special service designed to help those of you who move out and want to leave their place in a pristine condition. Once we are done checking out all points in our complete landlord’s checklist, you can rest assured you’ll have your full deposit back! For more information, please check out our About page or see some important issues covered on our FAQ page. We do provide better cleaning services and you can see that from all the positive reviews we get from customers. Non-binding cooperation: you can book us for a single cleaning or hire us for a long-term regular cleaning. The choice is yours. Booking us for a professional carpet cleaning in Islington, Enfield or in any other London borough is a piece of cake - all you have to do is call 020 3746 3201 or fill in our FREE quote. We’ll then quickly call you back and offer you a fantastic price for the service(s) your home or business needs. You can call us 24/7 and require our assistance even during bank holidays. We are available from Monday to Sunday, starting at 7 a.m. up until 6 p.m. We cover the whole London M25 area! You can either pay with Visa/Master Card, check, banking transfer or cash. Better Cleaning Company Ltd. - one call and we'll clean it all!